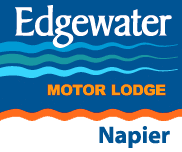 Edgewater Motor Lodge is pleased to bring you the following updates on Napier events and festivals and special offers on our quality motel accommodation on the Marine Parade, Napier, Hawke's Bay, New Zealand. Our Napier motel offers affordable family-friendly accommodation in spacious motel units on the beachfront next to a large children's playground and close to Marine Parade family attractions such as the Ocean Spa heated pools, National Aquarium, Mini Golf and Rotary boardwalk and cycleway. Great for family holidays in the sunny Hawke's Bay. Napier city centre features beautifully preserved 1930's architecture, resulting from the rebuilding of the city following the 1931 earthquake. Visitors can enjoy a self-guided walk around the Spanish Mission and Art Deco buildings or a daily guided walk with experienced guides. 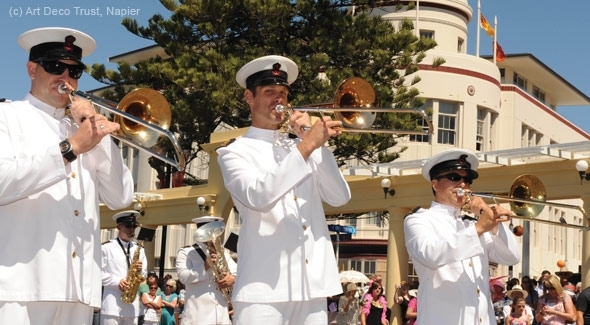 Every February, Napier celebrates it's heritage with the Art Deco weekend - a stylish celebration of all things 1930's, including vintage cars, fashion and music. Home to the largest and most accessible gannet colony in the world. There are several ways to get to the gannet colony - on foot, sitting on a tractor-trailer, in a 4WD vehicle or by kayak. Hawkes Bay has over 100 vineyards and 80 wineries, many with cellar doors and restaurants. Visitors to Napier can experience the region's wonderful wines on a guided wine tour, by bike, car or helicopter. On Saturday mornings, the Napier farmers' market is a chance to shop for artisan foods and fresh produce. Offering easy to intermediate cycling on both on and off road sections ideal for beginners, families and keen cyclists. Shorter 1-2 hour rides through to a full 187 km experience. Expansive ocean views, wineries, rivers and wetlands and beautiful countryside. 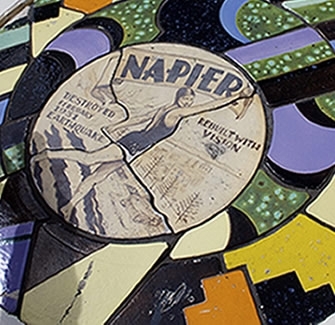 To learn more about Napier and the Hawke's Bay region please Click here. This page contains links to local and regional websites. Over 200 events, hundreds of 1920s and 30s cars, aerobatic flying displays, steam train rides, great Gatsby picnics, dinner dance extravaganzas and free outdoor concerts. Programme available in October. Held annually in February featuring international stars. Nestled against the quiet and picturesque foothills of Greenmeadows on the outskirts of Napier, the Mission Vineyards Estate is a familiar landmark to all who visit Hawkes Bay and the ideal venue for a Concert under the Stars. F.A.W.C! is a delicious event series of food and wine experiences, set in stunning locations throughout Hawke's Bay twice a year. Two tasty weeks of food and wine with events vying for your taste buds attention. Five fabulous weekends of ‘out of the box’ food and wine events set in some of Hawke’s Bay’s most stunning locations. Hunker down with roaring fires, musical notes and endless lashings of local produce prepared in warming ways. The Hawke's Bay Toyota Winter Deco Weekend is an intimate affair where furs are a necessary accessory and roaring fires and hot toddy's keep you warm all weekend long. Programme available in April.